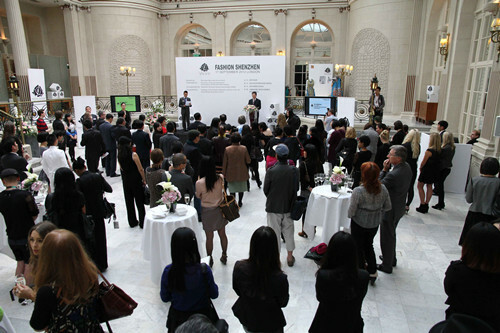 On September 17, 2012, the “Fashion Shenzhen” event was held in London, Britain at the London Fashion Week. Madame Hu Pinghua, wife of Chinese Ambassador Liu Xiaoming, and Mr. Cong Peiwu, Chargé d’Affaires of the Chinese Embassy, visited the Shenzhen brand fashion show in the accompany of Mr. Chen Biao, Vice Mayor of Shenzhen, and Ms. Shen Yongfang, President of Shenzhen Garment Industry Association. Madame Hu visited every booth. She talked with the exhibitors and designers with great interest, listened to their introduction and thoroughly learned about the exhibition this year. 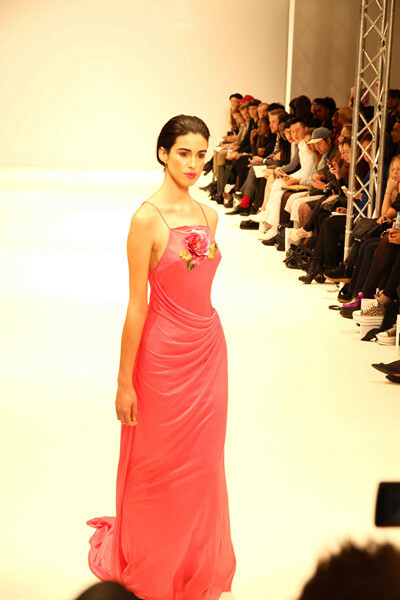 Madame Hu said that she was glad to see in London so many well-designed and exquisite fashion garments from Shenzhen. Meanwhile, more and more Chinese brands are recognized by their foreign counterparts. This shows that the Chinese fashion industry keeps growing and becomes increasingly internationalized. After that, the presentation of Shenzhen fashion industry was held. Chargé d’Affaires Cong Peiwu first read out the congratulatory remarks of Ambassador Liu Xiaoming. Ambassador Liu pointed out that Shenzhen is China’s “capital of design” and “capital of fashion”. He believed that Shenzhen’s presence at London Fashion Show again with its strong R & D, design and overall industrial advantages will fully demonstrate the pace of development in China’s fashion industry. Shenzhen will effectively capture the cutting-edge trend in the global fashion, keep close interactions with the international fashion community, boost the China-UK cooperation in trade and economy and exchanges in culture and enhance the mutual understanding and friendship between the two peoples. Vice Mayor Chen Biao thanked Ambassador Liu, Madame Hu and the Chinese Embassy for their long-standing support to the “Fashion Shenzhen” event at London Fashion Week. He said that Shenzhen offers an insight in China’s reform and opening up. After over 30 years of development, Shenzhen has grown into a modern international metropolis. As one of the city’s advantageous industries, Shenzhen’s fashion industry is not only leading the fashion in China, but also becoming a part in the world fashion arena. President Shen Yongfang said that the “Fashion Shenzhen” event has been held at London Fashion Week for five consecutive years. It has not only attracted more attention from the international fashion community and promoted the integration of Shenzhen garment industry into the international fashion circle, but also boosted the exchanges and cooperation between China and the UK in fashion culture. Mr. Stephen Phillips, CEO of China Britain Business Council (CBBC), said in his speech that London and Shenzhen are respectively the capital of fashion and design of Britain and China. By strengthening the cooperation in fashion industry, the two sides will further enhance the economic and trade cooperation and promote the development of China-UK relations. Finally, Madame Hu Pinghua and the Shenzhen delegation attended the fashion show of well-known Shenzhen brands “AUM” and “Ji Xiang Zhai”. Two young designers from China brought down the house with their gorgeous style and exquisite design. 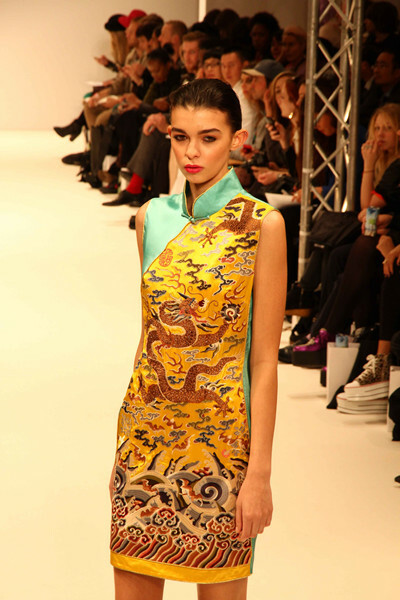 The unique charm of the Chinese elements overwhelmed the fashion community in London again.